The following examples are intended to give you an overview of the different projects we can do: any shape, size and functionality. 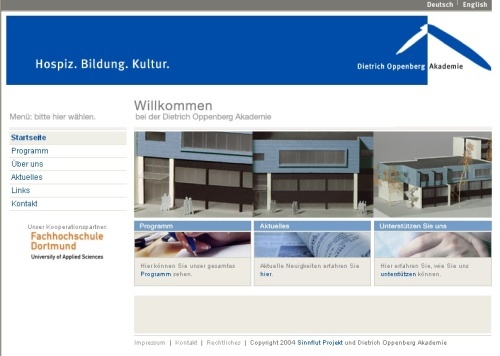 www.hospiz-akademie-essen.de features a content management system for news, events and speakers. The web presence of this hospice and the attached academy drew a lot of interest and has helped them considerably to become more visible.